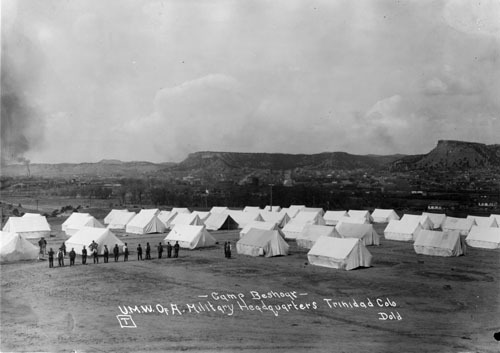 When news of the Ludlow Massacre got out, striking miners at other tent colonies went to war. For 10 days, they attacked and destroyed mines and fought pitched battles with mine guards and the militia along a 40-mile front from Trinidad to Walsenburg. 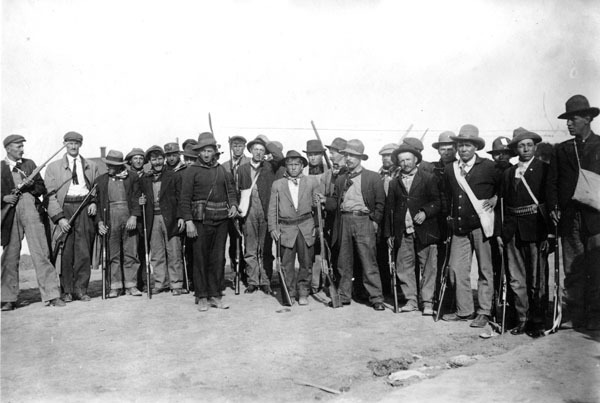 The fighting ceased only after the desperate governor of Colorado asked for Federal intervention. 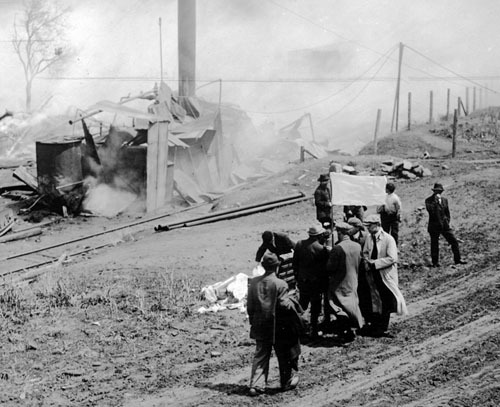 These photos show the strikers' military headquarters at Camp Beshoar (left), strikers, and a scene after a battle at one of the camps. 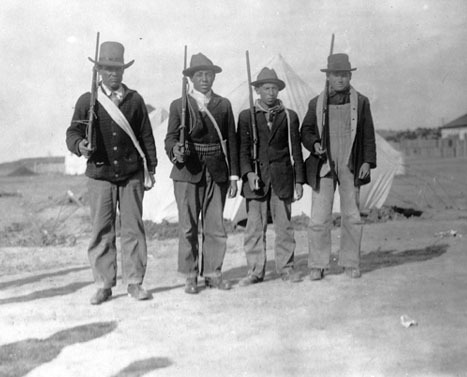 Armed strikers at Camp Beshoar during the 10 - Day War. Detail of armed striker. 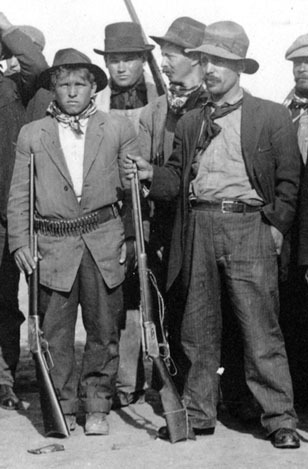 Armed strikers. Newspaper reporters in the ruins of the Forbes Coal Camp. After the 10-Day War, the strike dragged on for another seven months, ending in defeat for the UMWA in December 1914. 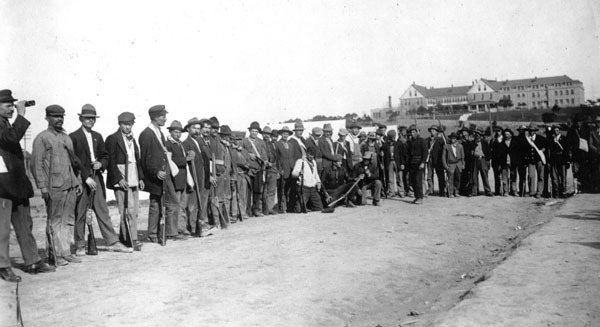 Although it ended in defeat for the union, the Ludlow Massacre focused national attention on the conditions in the Colorado coal camps and in labor conditions in the US in general. Because the Massacre was such a shocking event, it eventually came to symbolize the wave of industrial violence that led to the progressive era reforms in labor relations.